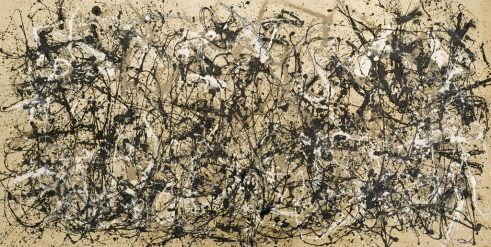 Editor’s note: this post was originally published in June 2017 and has been updated to reflect Artstor’s platform changes. Dr. Martin Luther King, Jr. speaks at the TCA meeting, 1957. Courtesy of the Tuskegee University Archives, P.H. Polk Collection, 2017. Tuskegee University Archives recently released new recordings from the Tuskegee Civic Association records that feature prominent leaders of the Civil Rights Movement. These speeches, addressing the Tuskegee community, fill in historical gaps to illuminate the relationships between leaders and their constituents. The collection was digitized from reel-to-reel tape under the care of university archivist Dana Chandler and made available through funding by the Andrew W. Mellon Foundation to the Council of Independent Colleges. The recordings are freely available to listen to in Artstor’s public collections..
Artstor staff members Evan Towle and Karyn Anonia spoke with Chandler about his work. ET: First, can you speak a little about your history with the Archives at Tuskegee? DC: I’m in my eleventh year. I’d first visited in 1972—my parents brought us down here to see Carver’s laboratory, and I fell in love with the place then. I did not ever expect to work here. The opportunity kind of fell into my lap, and I have been able to, I think, develop the Archives into a viable place for researchers to come from the US and all around the world to work on the materials to fill in some blanks that have been evident for a long time about the history of the Civil Rights Movement and the history of Tuskegee as a whole, as well as the work of African Americans, how successful they really were during the time of Jim Crow Laws and laws of segregation. When you think about Tuskegee, you think about George Washington Carver, Booker T. Washington. You think about the Tuskegee Airmen, and maybe something called the Syphilis Study, which did not happen here on the campus. But it is much more than those things. The first Extension Agent to the US Federal Government came from Tuskegee—not just the first black agent, but the first Extension Agent came from Tuskegee University—the first African American Hospital in Alabama; the first school to offer a four-year degree in nursing in Alabama; the first African American woman to win a gold medal at the Olympics, Alice Coachman Davis, went to Tuskegee. And believe me, I could go on and on ad nauseam about the stuff that’s here. 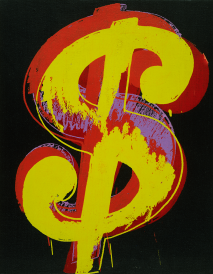 Andy Warhol; Dollar sign; c. 1981. 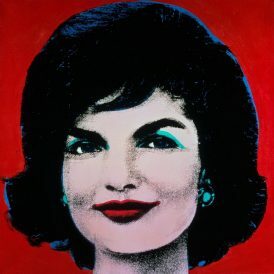 Images © The Andy Warhol Foundation for the Visual Arts, Inc. and Andy Warhol artwork © The Andy Warhol Foundation for the Visual Arts, Inc.
Andy Warhol; Red Jackie; 1964. Images © The Andy Warhol Foundation for the Visual Arts, Inc. and Andy Warhol artwork © The Andy Warhol Foundation for the Visual Arts, Inc.
Michael Hermann, Director of Licensing at The Andy Warhol Foundation for the Visual Arts, explains how the Foundation’s collections in the Artstor Digital Library provide a comprehensive view of Warhol’s cultural impact–as well as insight into his personal life. Thirty years after his death, Andy Warhol (1928-1987) remains one of the most influential figures in contemporary art and culture. 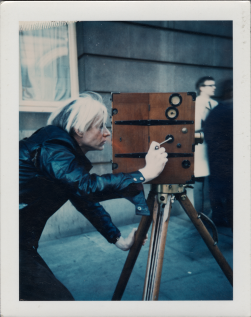 Warhol’s life and work continue to inspire creative thinkers worldwide thanks to his enduring imagery, his artfully cultivated celebrity, and the ongoing research of dedicated scholars. His impact as an artist is far deeper and greater than soup cans and his prescient observation that “everyone will be world-famous for fifteen minutes.” His omnivorous curiosity resulted in an enormous body of work that spanned every available medium and most importantly contributed to the collapse of boundaries between high and low culture. The extensive Andy Warhol Foundation collections available on Artstor provide a thorough presentation of the prolific artist’s works in one place for the first time through more than 35,000* images inclusive of paintings, drawings, sculptures, prints, and photography spanning four decades. The turbulent 1960s ignited an impressive and wildly prolific time in Warhol’s life which saw the production of many of Warhol’s most iconic works, including Campbell Soup Cans, Marilyn Monroes, Dollar Signs, Disasters, Brillo Boxes and Coca Cola Bottles. These familiar works are supplemented by a wide-ranging presentation of the provocative and ground-breaking works Warhol continued to create until his untimely death in 1987. 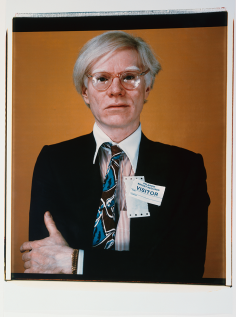 Andy Warhol; “Visitor” portrait; 1979. Image and data from: The Andy Warhol Foundation for the Visual Arts, Inc. Artwork; Image © The Andy Warhol Foundation for the Visual Arts, Inc.
Artstor and The Andy Warhol Foundation for the Visual Arts have released more than 35,000* images of Warhol’s work in the Artstor Digital Library in two extensive collections–Warhol’s Oeuvre and the Photographic Legacy Project. This extensive launch provides a thorough presentation of the prolific artist’s works in one place for the first time, inclusive of paintings, drawings, sculptures, prints, and photography spanning four decades. The Oeuvre collection provides a comprehensive view of the artist’s output, starting with the early work he created during the 1950s as an award-winning commercial artist working for clients such as Columbia Records and Tiffany & Co., through to many of his most iconic images, including Campbell Soup Cans, Marilyn Monroes, Dollar Signs, Disasters, Brillo Boxes and Coca Cola Bottles. 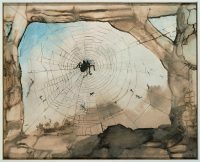 The boundless treasures of The Met: 375,000 public domain images now available through Open Access! Egyptian, Fragmentary Head of a Queen, 1352-1356 B.C.E. 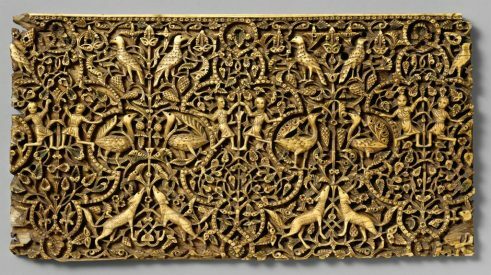 Image provided by The Metropolitan Museum of Art. Today’s Open Access initiative by the Metropolitan Museum of Art and their generous partnership with Artstor help ensure that these images will reach scholarly audiences in more than 1,700 institutions worldwide. 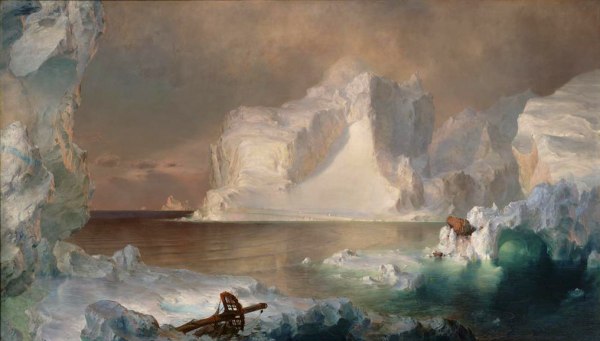 Nancy Minty, Artstor’s Collections Editor, explores some of the Met’s history, the materials in the release, and its implications for future study. In 1872, the Metropolitan Museum opened its doors in a brownstone on Fifth Ave., which housed its nascent permanent collection of 175 paintings. The New York Evening Mail heralded the moment as the birth of the “royal infant,” and one of the founders William Cullen Bryant struck a redemptive tone in his opening address: “My friends, it is important that we should encounter the temptations to vice in this great and too rapidly growing capital by attractive entertainment of an innocent and improving nature.”1 Salomon van Ruysdael’s Drawing the Eel, 1650s, still a standout from the inaugural collection, typifies the folksy, wholesome imagery that bolstered Bryant’s mission. Today, nearly 150 years later, The Met is among leaders worldwide with an encyclopedic collection that numbers more than 2 million objects, spanning 17 diverse curatorial departments and 5000 years, from antiquities to photography, and including masterworks in all fields. 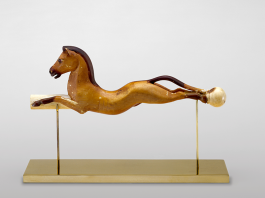 Its range may be documented by countless juxtapositions of outstanding works from diverse cultures, as for example, an ivory handle from ancient Egypt, Prancing Horse, ca. 1391-1353 B.C.E., an engraving by the German Renaissance artist Dürer, The Little Horse, 1505. and a monumental painting by Rosa Bonheur, The Horse Fair, 1853-55, each depicting horses, albeit of very different stripes. 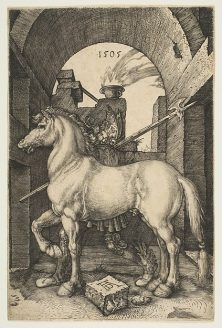 Albrecht Dürer, The Little Horse, 1501. Image provided by The Metropolitan Museum of Art. Rosa Bonheur, The Horse Fair, 1853-55. Image provided by The Metropolitan Museum of Art. Egyptian, Prancing Horse, c. 1391-1353 B.C.E. Image provided by The Metropolitan Museum of Art. The museum building itself has accrued around 20 successive structures or wings to the nucleus designed by Calvert Vaux in 1880, and it currently occupies more than two million square feet, equal to about 35 football fields (not including Breuer and Cloisters locations). Moreover, in 2016 it welcomed 6.7 million visitors. The strange story behind the CIA calendar the CIA gift shop refuses to sell. What it’s like to be a professional cheese sculptor. Related: a brief history of food as art. Were JG Ballard’s billboards actually coded Salvador Dalí paintings? We totally identify with this woman who accidentally got locked inside a museum in Germany. 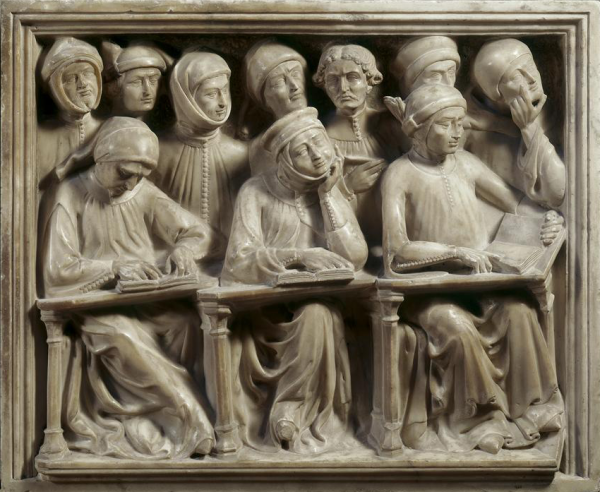 Jacobello dalle Masegne and Pier Paolo dalle Masegne; Tomb of Giovanni da Legnano; detail of Students Reading; Museo civico, Bologna. © 2006, SCALA, Florence / ART RESOURCE, N.Y.
Back at school and looking to get started working in Artstor? Here are some tips and reminders from the experts in User Services to help you get started. Register for an account (if you haven’t already). Registering allows you to access Artstor from anywhere (your couch, a coffee shop, or even on-the-go with Artstor Mobile). Remember to create an account ahead of time for easy access before important research deadlines. Instructions are available here. Already registered? Log in to your account once while you’re on campus. This will reset your remote access and get you back to surfing Artstor in your PJs in no time. Use Image Groups to compile images for papers and projects ahead of time. Tip: create groups for each of your papers or presentations so you can refer back to your images as you work. Learn more here. Bookmark our LibGuides and support site–they’re great resources for when you need help working with Artstor. We also have quick video tutorials on our YouTube Channel. We look forward to seeing you at one of the many events we have scheduled at this year’s Art Libraries Society of North America Annual Conference!